A new map of the night sky has been published and hundreds of thousands of previously undiscovered galaxies are on it. The 300,000 new galaxies were discovered as part of a study involving 200 scientists from 18 countries, using a Low-Frequency Array (LOFAR) telescope in the Netherlands. The telescope can detect light sources that optical instruments cannot see. 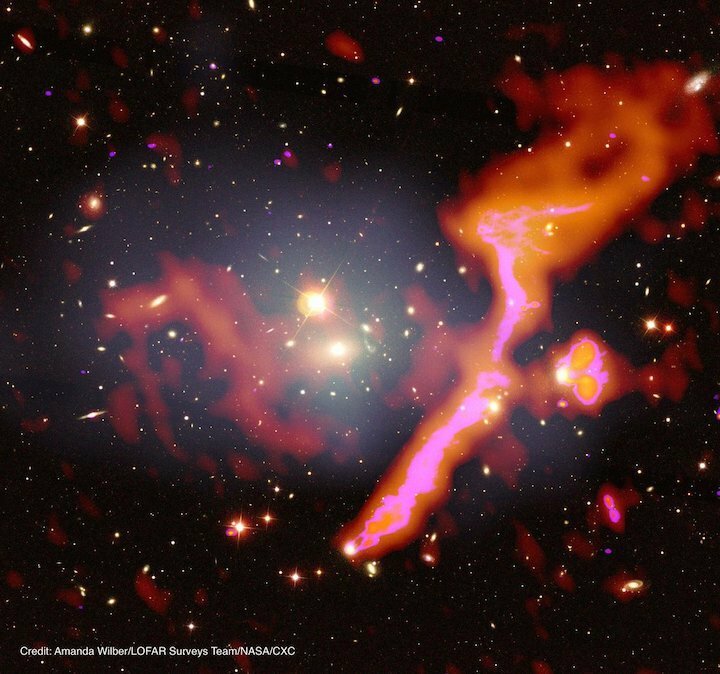 Using the device, scientists were able to spot hundreds of thousands of light sources thought to be galaxies, which were once too faint to been detected from Earth. The discovery is shedding new light – literally – on the universe. "This is a new window on the universe," Cyril Tasse, an astronomer at the Paris Observatory who was involved in the project, told the AFP news agency. "When we saw the first images we were like, 'What is this?!' It didn't look anything at all like what we are used to seeing." A series of papers on the findings are published in the journal Astronomy & Astrophysics. The LOFAR telescope works by pick up traces, or "jets," of ancient radiation produced when galaxies merge. These jets can extend over millions of light years. "LOFAR has a remarkable sensitivity and that allows us to see that these jets are present in all of the most massive galaxies, which means that their black holes never stop eating," said Philip Best, a professor of extragalactic astrophysics at the University of Edinburgh. Black holes have a gravitational pull so strong that no matter can escape them. The new observations will allow scientists to compare black holes over time to see how they develop. Using information from NASA's Hubble space telescope, scientists believe there are more than 100 billion galaxies in the universe. However, many may be too old and too far away to be observed using traditional detection techniques. The LOFAR telescope, which is made up of a network of radio antenna located across seven European countries, has helped scientists chart just just 2 percent of the sky so far. The team plans to create high-resolution images of the entire northern sky, which they say will reveal up to 15 million previously undetected radio sources.